Colonel Jim Stone was Master of Ceremony of the event. 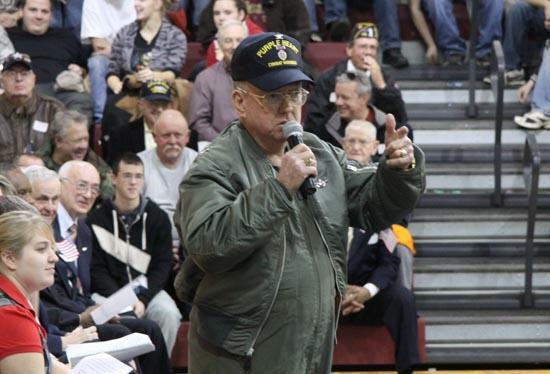 A ceremony was held at CCHS Friday November 13th to honor Cannon County Veterans. The CCHS Band and Choir provided music and a number of speakers expounded on the importance of the sacrifices made by our nation's veterans.